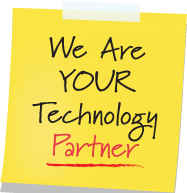 How many emails do you think you receive per day? 100? 200? 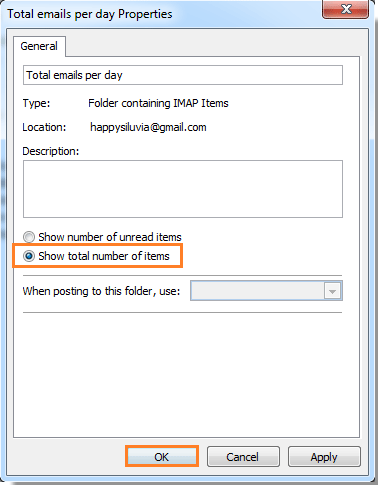 Curious to know exactly how many emails you are receiving each day … Well find out using this little tip! 1. 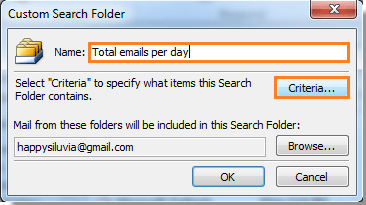 In Outlook, right-click the Search Folders under the email account that you want to count the total incoming emails per day. Then click the New Search Folder. 2. In the New Search Folder dialog, scroll down to the bottom and then click Create a custom Search Folder under Custom. Then click Choose button. 3. 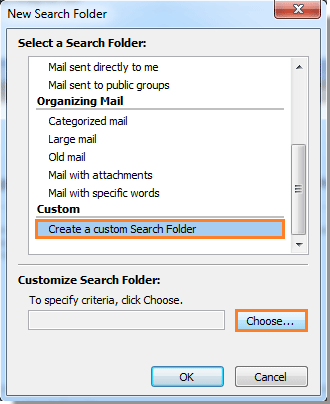 When the Custom Search Folder dialog pops up, Name it and then click the Criteria button. 4. 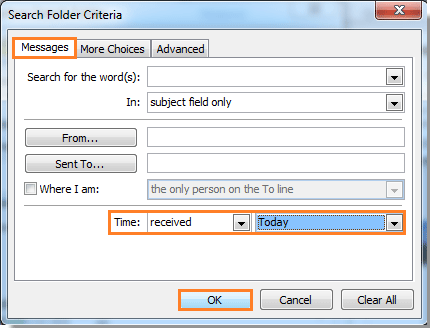 In the Search Folder Criteria dialog, under Messages tab, separately select received and Today from the Time drop-down list. Then click OK.
5. When it returns to the Custom Search Folder dialog, click the Browse button. 6. 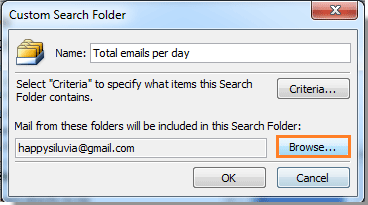 In the Select Folder(s) dialog, select the folder you want to count the total emails per day, and uncheck the Search subfolders box. Then click OK button. 7. The click OK twice in the following two dialogs. 8. 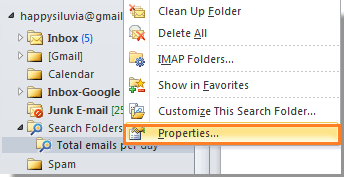 Right-click the new search folder you have just created, then select Properties from the right-click menu. 9. 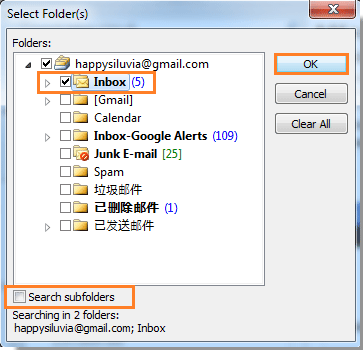 In the following dialog, check Show total numbers of items box, and then click OK.
Now copies of the incoming email messages will be saved to this search folder per day. 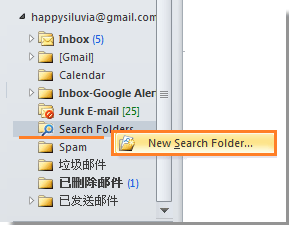 When a new day comes, the search folder will automatically remove all the old messages and start counting the new days email messages.